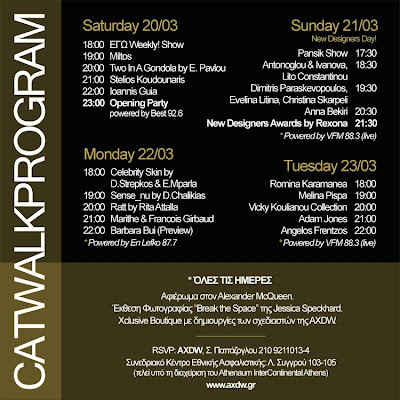 The time is coming again for the Athens Xclusive Designers Week. Read all about it over at the AXDW official website. And if you didn't make it on time for the AXDW all-shows invitations Alecca Rox is giving away until midnight today, you still have two days' time for the Celebrity Skin show invites.